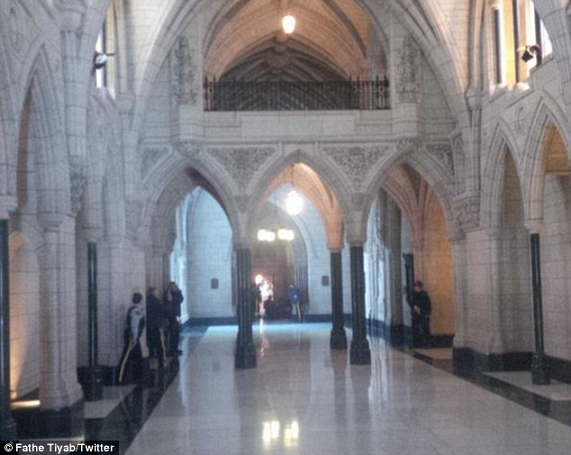 Canada has experienced its first major terrorist attack. 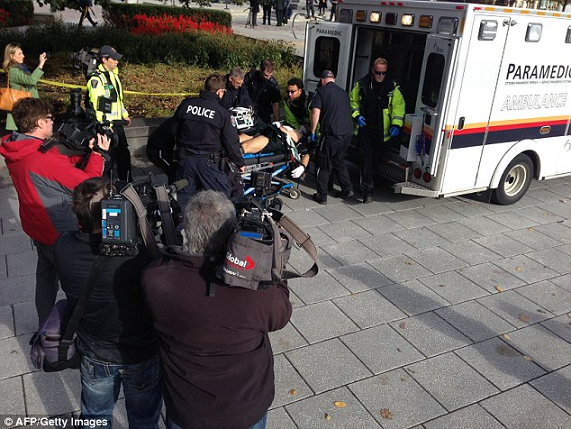 The attack that happened around 9:52 am this morning at the National War Memorial in Ottawa, the capital city of Canada left 2 dead. 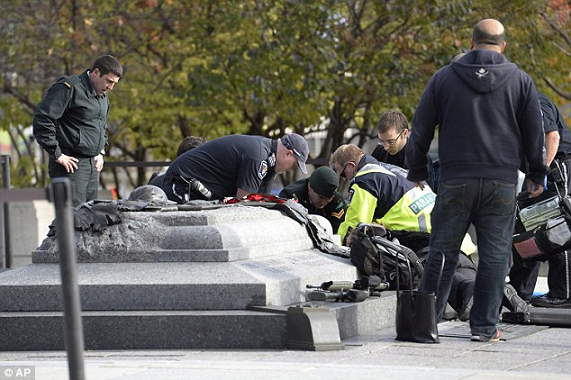 According to report from Ottawa, One of the gunmen reportedly came down from a moving vehicle with a fully loaded AK47 gun and fired seven shots at soldiers guarding the National War Memorial before proceeding into the Parliament Hills where several shots were fired. 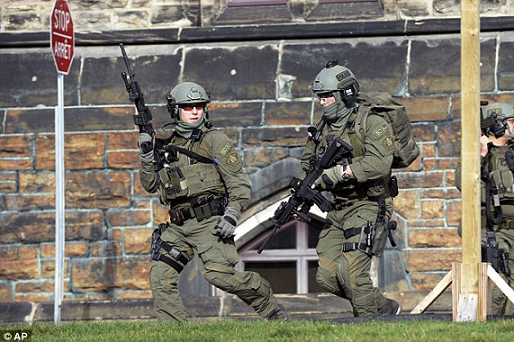 We learnt two other gunmen later joined him inside the halls of Parliament Hill in Ottawa shooting sporadically into the air. 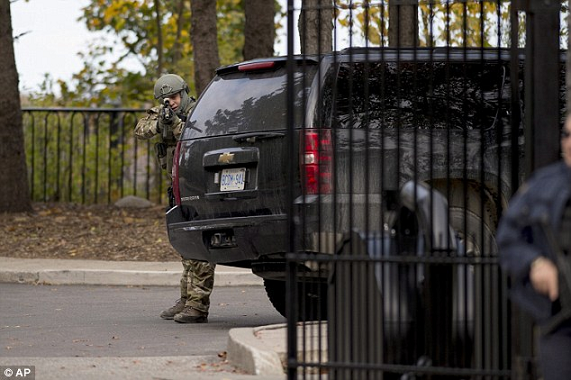 One of the soldiers shot at was a member of the Canadian armed forces based in Hamilton Ontario. He was pronounced dead at the hospital. 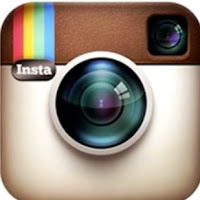 Police are currently trying to contact his next of kin. 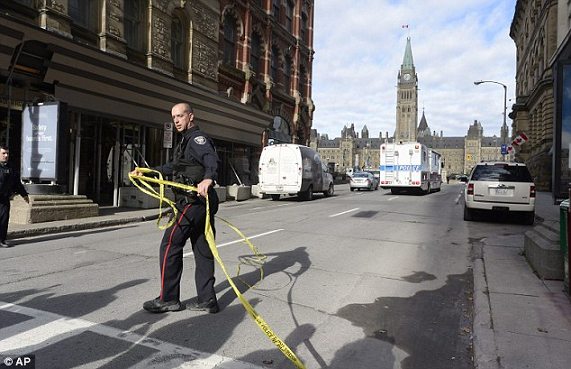 One of the 3 gunmen was also shot dead by the soldiers, he has not been identified but police said he is a Canadian citizen based in Ottawa. Immediately after the gunmen stormed the building, witnesses called 911 as journalists and politicians cowered inside the Parliament Hill. 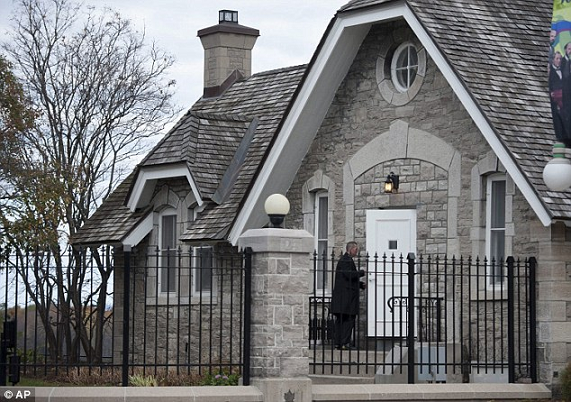 This is the place where Malala Yousafzai, the co-winner of this year’s Nobel Peace Prize award was to receive her honorary Canadian citizen today. 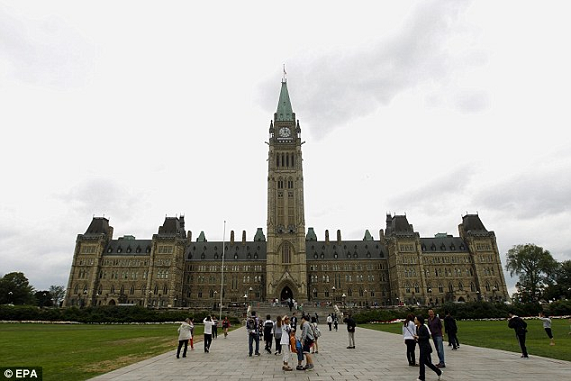 Canadian Prime Minister Stephen Harper’s spokesman said he has been taken away from the Parliament Hill to a safe place. 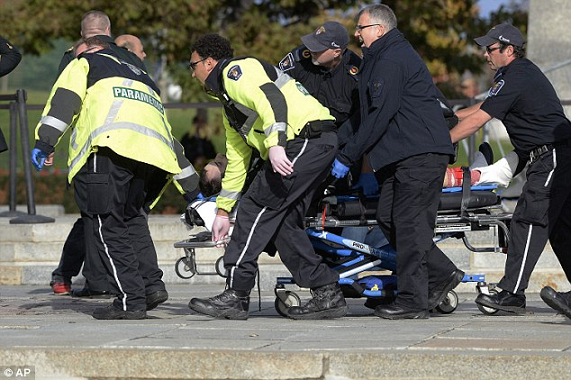 This fatal terrorist attack on Canada came 2 days after 2 Canadian Soldiers were run over by a fan of ISIS Jihadi group in Quebec. 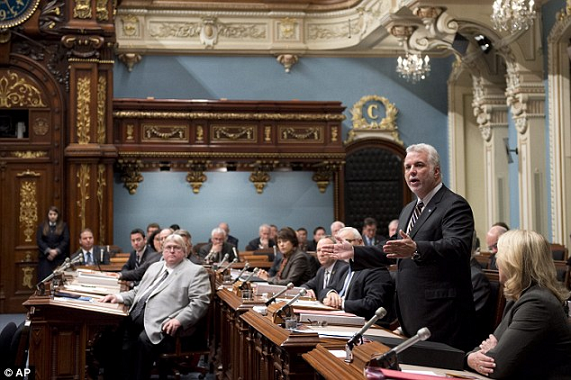 One of the soldiers died as a result of the hit and run attack in Quebec on Monday. 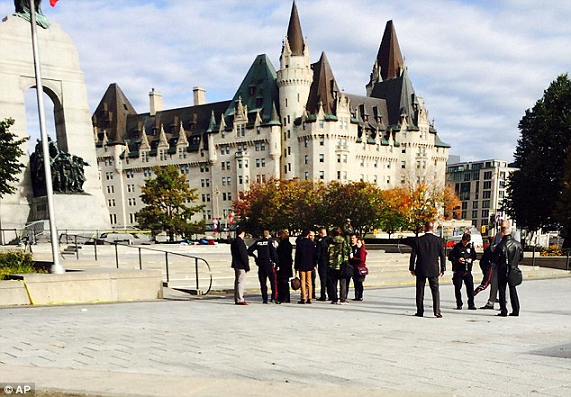 Shootings were also reported at the Rideau Centre Mall and the Chateau Laurier Hotel in downtown Ottawa. Survivors of the attack said the three gunmen were chanting Islamic victory slang “Allahu Akbar” meaning “God Is Great” before the soldiers shot one of them. The two others reportedly fled in a waiting car as police chase after them. May the soul of the soldier rest in peace. We wish the injured victims quick recovery. 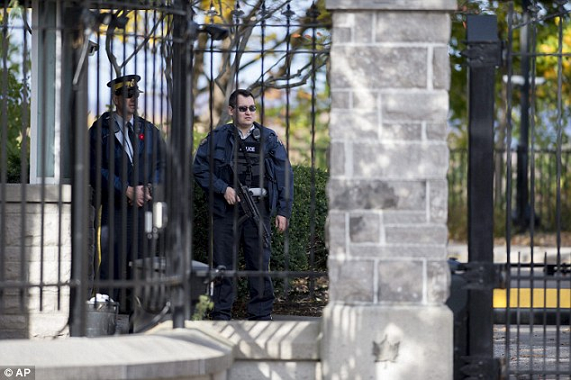 We in Nigeria are even more safe that the people in canada. It is a wake up call for them. They should send delegates to Borno for anti terrorism training. 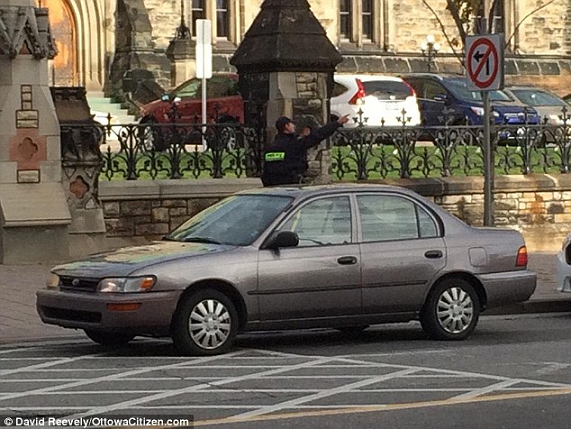 This is end time,things are happening world wide,may God help us all..
@ Bezo: Could you please explain how Nigeria is now safer than Canada? U are using one incidence to make a generalisation.What then would you refer to people dieing every day in Northern Nigeria? is islam a true religion? 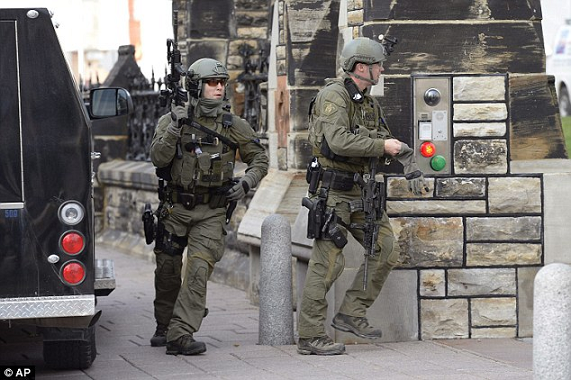 Get ready Europe for you have opened your door wide to Islamic terrorists, you have invited war to your countries. this is just the beginning, Islam is evil.